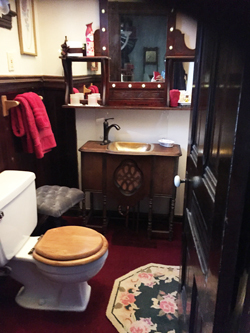 A middle room on the first floor with the most delightful bathroom in the house ~ the original claw foot tub, complete with shower! 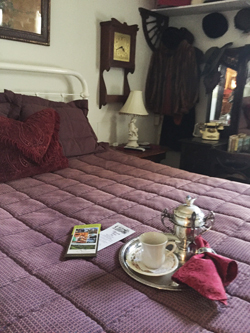 This cozy room has a Queen bed , television, and an antique Victorian dresser adorned with Victorian hats and clothes from the turn of the century. Check in is after 4 p.m. Notice of intended late check in is appreciated.